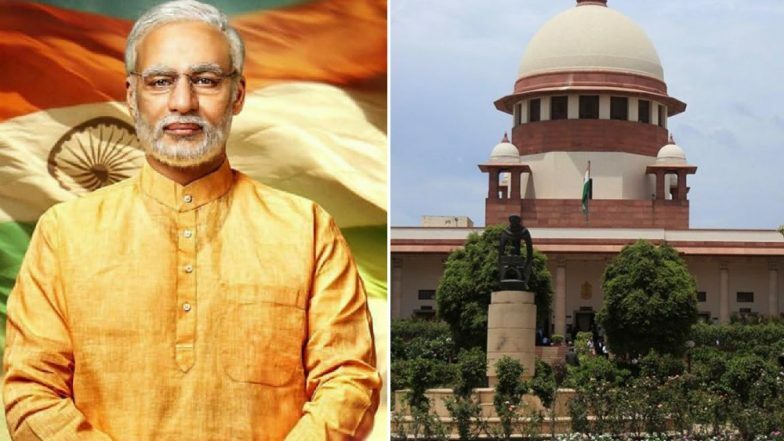 The Supreme Court on Monday asked the Election Commission to review its decision on the temporary ban on the biopic 'PM Narendra Modi' after watching the Vivek Oberoi-starrer film. The apex court has asked the filmmakers to screen PM Narendra Modi for the Election Commission of India and let the poll body decide on the ban after watching it. The film's release was blocked by the poll body in view of Lok Sabha Elections 2019. 'PM Narendra Modi' Movie Release Stalled By Election Commission, ECI Says No Political Biopics Will Release During Lok Sabha Polls 2019. The makers of the film had moved the Supreme Court on Friday after the ECI had blocked the release of all political biopics during General Elections 2019. The ECI, in its ban order, had said, "Biopics are a kind of surrogate promotions." The movie was supposed to open in theatres on April 11, which again was a release date postponed from April 5. The movie, titled PM Narendra Modi, stars Vivek Oberoi playing the titular role. Earlier this month, the court had left the decisions on stalling the release of the film to be made for the Central Board of Film Certification and the Election Committee to make. The court had said that the latter should decide whether the film violates the Model Code. Following this, the EC had stalled the film's release and the filmmakers had brought the film back to the apex court. It now remains to be seen as to what the ECI decides after watching the film.